Improved replica initialization sequence under high load. Significant changes in Performance Monitoring: now HQbird generates 3 reports (Duration, Frequency, and Summary), and also XLS report with top-consuming applications and statements, with all performance details (fetches, reads, writes, etc). FBPerfMon tool is excluded from HQbird ServerSide, since their functions are mostly covered by extended capabilities of Performance Monitoring. Erlang Firebird client library : efirebirdsql 0.5.5 is released . Firebird Project announces the first Beta release of Firebird 4.0, the next major version of the Firebird relational database, which is now available for testing. This Beta release arrives with features and improvements already implemented by the Firebird development team, as well as with countless bugfixes. Our users are appreciated giving it a try and providing feedback to the development mailing list. Apparent bugs can be reported directly to the bugtracker. Beta releases are not encouraged for production usage or any other goals that require a stable system. They are, however, recommended for those users who want to help in identifying issues and bottlenecks thus allowing to progress faster through the Beta/RC stages towards the final release. Please read the Release Notes carefully before installing and testing this Beta release. This version fixes : Support for Blob::length for blobs greater than 2GB. Memory corruption with async methods. Avoided some warnings. More info at this link. 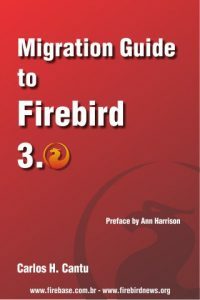 We are proud to introduce the fifth version of our basic product for working with Firebird and InterBase. IBProvider v5 inherits all the best from IBProvider v3 and dramatically improves the quality of implementation of the OLE DB components. For the last few years, the main development line of IBProvider was fixing problems that prevented its stable operation. First of all, we had to fix problems not related to the provider itself — we rewrote the client for Firebird and the standard pool of OLE DB connections. It took a lot of time and resourses, but it was worth it. Now the time has come to get to IBProvider itself. Instead of local fixes, within the support of the third version we redesigned the inner infrastructure of the OLE DB components of IBProvider taking into account the entire experience gained over the last years. In part, the ideas were taken from our ADO.NET provider. Read full text of IBProvider v5 release. With Best Regards, IBProvider Team. LibreOffice 6.2 is here! It includes a new (optional) user interface called the NotebookBar, along with improved compatibility, performance boosts, a reworked help system and many other updates. Learn more and download it . Support for Base files using embedded Firebird RDBMS becomes non experimental in this release. Firebird Migration Assistant now creates a backup copy of the existing content.xml file inside the HSQL based ODB file prior to the actual migration process. Access2Basic basic library, bundled with the 6.2 release, adds full support for Firebird RDBMS.